Recognizing and supporting the achievements of our nation’s most influential economic contributors are an integral part of OMNIKAL’s mission. We understand that many of these individuals are included among the Fortune 1000 supplier network and have become fundamental collaborative partners in further positioning competitive offerings among the global marketplace. 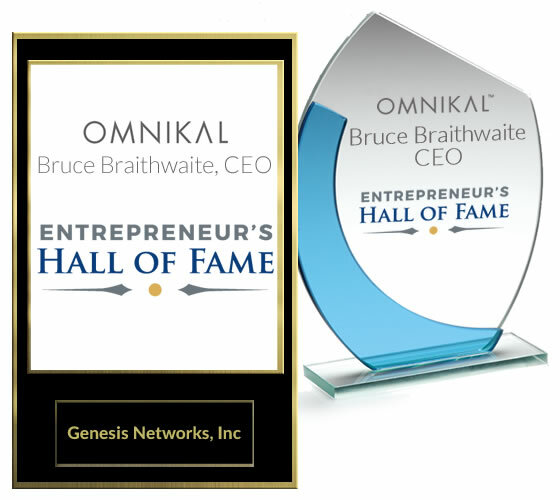 OMNIKAL presents an opportunity to nominate one of these distinct entrepreneurs for our “Entrepreneur Hall of Fame” award each year. This award recognizes individuals who have made significant contributions and have gone beyond expectations in order to support their customer’s drive for innovation, continuous improvement and operational excellence which better serves the way we live. The nominee must serve as majority or principal owner(s), been in operations more than 3 years, demonstrate exceptional leadership skills and integrity, encompass a proven track record of building long-term sustainable growth for key stakeholders, and actively involved in professional and community activities. Inductees will be honored during a special ceremony at the OMNIKAL Annual Business Summit. All nominations will be reviewed by members of the OMNIKAL Hall of Fame selection committee and must be submitted by 1/15/19. 8. What other additional and/or worthwhile information would you like the committee to have as they make their decision regarding the candidate? Please attach supportive information with nomination, if more space is needed.